"Are you serious? You found a functioning kidney for me? Oh, you're kidding? 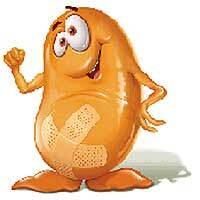 Kidding and kidney sound very alike =( "
The world has stopped to a standstill. Children and adults across the globe are in sheer awe. 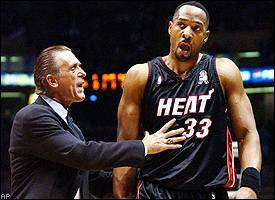 Alonzo Mourning’s one good kidney. The Kid, as writers have lovably nicknamed him, has shown an array of post moves, in addition to off-the-court moves that the NBA has sorely needed. As little Ashley sat with tears of joy running down her butter-ridden cheek, she proclaimed her love for the NBA’s rookie sensation. While some experts and analysts had tabbed this comeback of sorts to be a mere gimmick, The Kid has responded by averaging a double-double in his first 5 games as an individual pro. 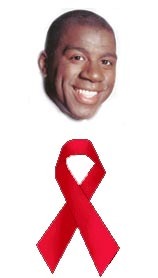 Analysts nationwide thought that it was a very bold and brash move by the newfound NBA star to publicly debate everyone’s favorite has-been and the only human being on the planet to actually lie about obtaining the HIV virus, Magic Johnson, on the topic of promiscuity. Scouts claim that The Kid will soon be figured out by season’s end but don’t tell that to local super-fan Jason Bailes. "The Kid may be a bit banged up but at least he can take a piss without help!" Those are definitely strong words. While the press has had it’s fun with the LeBron-Carmelo matchups, it has been said that this Wednesday’s game between “King James” and The Kid will, ultimately, tell the world who the top dog really is. James has dazzled the NBA universe with his multi-dimensional game while playing at the toughest position in the league. However, even he has been in sheer awe of what The Kid has accomplished lately. "IT'S STILL SORE! DON'T TOUCH!!!" 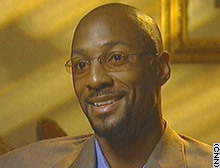 Lost in all the hoopla is the man himself, Alonzo Mourning. What is going on, Alonzo? While Nets management and the community feels for Mourning, they also feel The Kid made the right move.